The first quarter of 2014 came to a close on March 31. 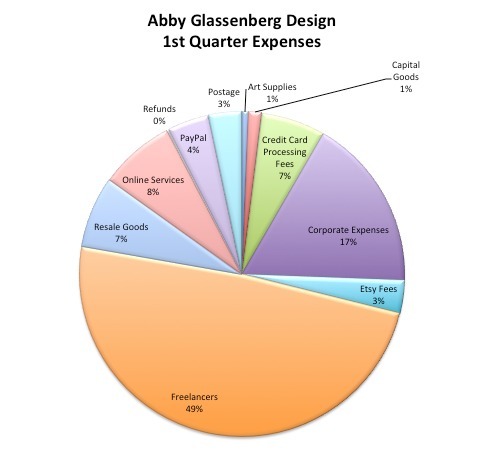 I did some analysis of Abby Glassenberg Design's income and expenses and I thought I'd share them with you. I found this process to be incredibly valuable at the end of 2013 (see my 2013 income report here), and have decided to try looking closely at the numbers on a quarterly basis this year. 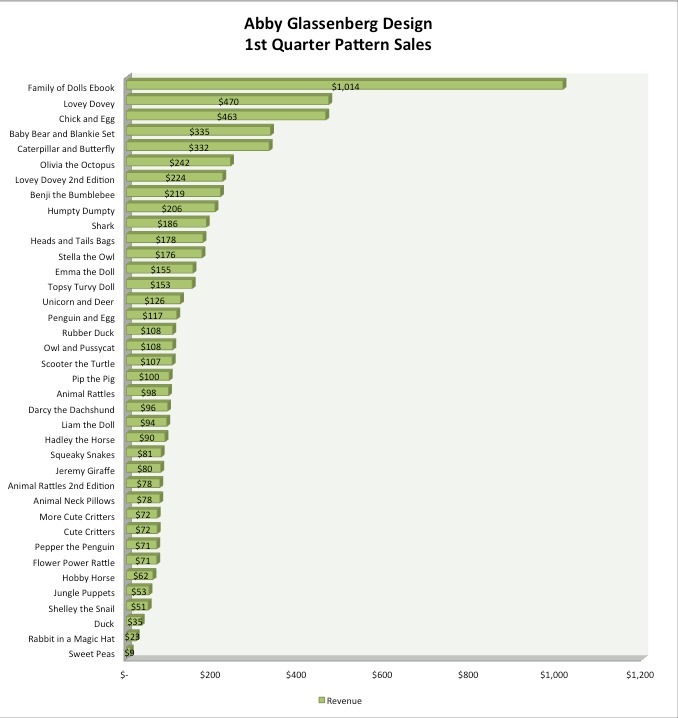 Clearly pattern sales make up the largest share of my income at 53% for a total of $6,257. My business-focused ebooks are also doing very well, bringing in $2,259 or 19% of the income. I only have two of those ebooks so they're really pulling their weight. Resale goods are things like hemostats, rattle inserts, squeakers, etc., that I buy wholesale and resell. This category also includes my two books which I buy back from the publisher at 50% off and resell in my online shops. Speaking of books, let's look for a minute at the royalties category. This quarter I got $490 from The Artful Bird (royalties are paid twice a year). The rest ($661) came from my Simplicity patterns. 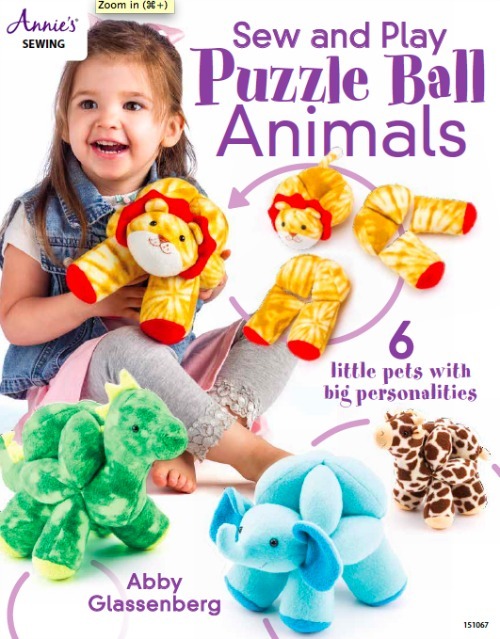 Even though Stuffed Animals came out in May of 2013 and was named an Amazon best book of the year I have yet to see any royalties beyond the $7,000 advance I took. In fact, due to the way bookstores buying and returning cycles work, I'm even more behind now than I was six months ago. Getting that statement a few weeks ago was a serious bummer. Interweave does an amazing job promoting their titles whereas Lark does next to nothing, and it shows. I'm super proud of that book and I know it was a valuable contribution to the craft community. It's simply very, very difficult to make money from a craft book. PDF patterns, on the other hand, are a great way to earn money doing what you love! The success of the Family of Dolls ebook has spurred me to create more pattern bundle ebooks. Two or three patterns sold together with extra bonus content is a really good value and an attractive product. There will be more of these. I'm excited that Humpty Dumpty has done so well because I'm super proud of him! Both pattern sales and business-focused ebook sales were boosted this quarter by two guest posts I did: one on Sew Mama Sew and the other on The Crafty Gemini. Guest posting on blogs that really hit my target audience is a great sales strategy. A few notes on jobs I turned down this quarter. A fabric company asked me to design a project that they could give away as a free pattern on their site. I quoted them $450 and they turned it down saying it was too expensive. Looking at what I can make from a single pattern over the course of a year, $450 is an appropriate price so I feel good about not taking this job. A publishing house asked me to contribute a project to a collaborative book for $150. I turned it down. Not long ago I would have taken both of these jobs, but now I feel like it isn't worth signing over the copyright to my work for so little pay. I made an exciting, scary,and expensive decision right at the end of this quarter. I'm getting a new website! I've been desperate to get off of Typepad for years now and I'm finally doing it! 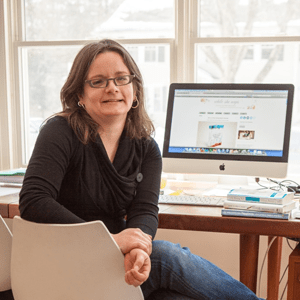 The first step was finding Fantasktic, a company that specializes in migrating sites from Typepad to WordPress. I checked with my friend Jean who used the service and she raved about it. Seeing her clean, professional WordPress site made me want to hire a designer and really do it right. I liken it to building a new house. I want it to be a well-built, lovely space. I'm also getting holistic branding for the first time, including a new logo! From what I can tell business experts encourage new businesses to reinvest a significant portion of their earnings during the first three years. It's incredibly difficult for me to spend money, but everything I do depends on the this site and I'm ready for it to really work for my readers (easy access to the archives, clean, modern and professional, while also being beautiful). I got a quote from one designer for $750 and another for $16,000. In the end I went with someone in the middle. I'm paying $6,000 for the new site design, plus migration and hosting costs. I put down half the money this quarter, thus the sad look of this chart. The second biggest expense category was corporate expenses which included sales tax from 2013, corporate excise tax, corporate registration, and tax preparation and totalled $1,156. My total expenses for the first quarter were $6,719. If I hadn't chosen to begin the process of getting a new site, my expenses would have been $3,461 less. Can I just point out that I only spent $41 on art supplies! Yay! The capital good was my new microphone for the podcast which was totally worth it. Again, without investing in a new site the income would have been highter at $8,531. Multiply it times 4 and I would have been on track to make $34,124 this year. It's painful to reinvest some of that money, but I know it's the right decision. I want to grow. I've got big plans and I need a great home for them. I can't stress enough how informative weekly bookkeeping has been for me. If you don't do it already, start now. I do it on Friday mornings. Some weeks it takes half an hour and other weeks more like two hours, but it's so worth it for the ability it gives me to analyze how things are going. Please know that none of this money comes easily. I work about 25 hours a week now. It's nearly 11:00 pm as I write this and I'll be up with 3 kids at 6:10 am tomorrow. I love every minute of it, but it doesn't just happen. I also know that I could make more money if I expanded my pattern line to include things that are more mainstream in the sewing world, but I love softies and dolls and that's where I will always be. 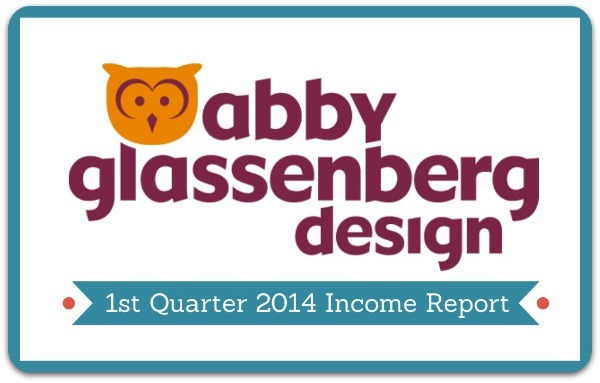 If you have questions or thoughts about my 1st quarter income report, please ask! The more we talk about real numbers, and real money, the better informed we are and the better decisions we can make. I really appreciate that you are candid about what and how you are earning your money. It is so helpful to compare what I am doing and how I can improve. I think this post is such a great idea! Thanks for sharing and being open. I looking forward to seeing the site redesign. Business investments can always seem difficult and scary. There is a risk in everything that we do, but without taking risks, growth is often impossible. I LOVE that you share all of this! Especially the bit about royalties – people need a more realistic look at how the publishing industry works for most crafters. I’m curious – what do you do in your weekly bookkeeping? I update the family budget weekly (I love YNAB), but my biz finances once a quarter. I download from Paypal, add in anything from bank/random receipts, then add up income + expenses (and divide it up by my most popular products.) It takes maybe an hour to do all of it (this is also when I look at my traffic, newsletter subscribers. Eep! I meant to say once a month, not once a quarter! This is so interesting, Abby. Thank you for sharing! I think you will be very pleased with the switch to WordPress. I imagine it will increase your productivity and give you bigger returns in the long run as, you’ve mentioned before, your business growth hinges on having such a successful site/blog. I also think that if you want to make an overhaul in the future, already being on WordPress will make it that much easier. Congrats on taking the leap and good luck! Thank you so much for the peek behind the green curtain. I especially appreciate your reasoning for not doing the freebie patterns… I’ve had similar reasoning of late. I’m the We’re $ew Worth It Gal… so yes, getting paid your worth is a big deal to me! Done! I paid someone I found via Elance to make me a handy pivot table in Excel that automatically adds things up so I can see in an instant gross revenue, expenses, and net. This article is wonderful! It’s great to see what you’re learning from the numbers and how you’re making decisions. I’m just getting started on my quilting business and it’s great to see how someone who’s a little farther down the road is doing… in all the revealing nakedness. Thank you. What a great post, Abby! I think you hit the nail on the head in so many ways. You mentioned that it’s a lot of work (you’re up at 11pm! ), but you didn’t mention that you’re in your multiple-th year doing this. And all that hard work you did before is working for you now… that’s important to know for folks starting. You can’t work 5 hours a week when starting and expect big benefits! This book issue is really interesting, because it’s something I think of a lot. My publisher gives me very little leeway over the book I write (I have a strict page limit and my patterns basically get plugged into a book template they already have), but my earnings are pretty good. I’m often tempted to go with a ‘beautiful’ publisher, but almost everyone has a similar experience as you… it’s a ton of work for not a better paycheck. Very interesting to think about. Thanks again for doing this Abby, it’s so helpful and inspiring. I was wondering, do you plan to stay on Etsy, BigCartel etc. once you’ve got the new site, or will you make that a full e-commerce site? I’d love to move to wordpress but want a wholesale login section where stockists can place orders but haven’t yet worked out how to do that. Thanks for posting this – I’m a new follower and this is why I love your blog! Great info, and a level of authenticity that I can’t find anywhere else. Keep up the great work! Thanks again for putting this out there, it’s really helpful to those of us at the fledgling stage. Just wanted to add my thanks for your openness in sharing this kind of info. People can be a bit secret squirrel about finances so I really appreciate you being so candid. Great post Abby, and I believe I may have turned down the same offers. It is just not viable to give over a pattern for so little money. I am dissapointed that your newest book isn’t turning you into a millionaire, it is by far and away the most comprehensive resource on toy sewing for years. I reccommend it at every class I teach. Thanks again Abby for a great open and honest post. I love the fact that you are willing to share this information with us all. It’s really helpful. Abby, I just started reading your blog about a month ago and I am amazed at the quality of information you have available for creativity and for business. I feel like I should pay to read your site! Thank you for this economic breakdown – it’s inspiring. Thanks so much for posting this info Abby. I think it really shows how hard it is to earn a living with just a published book going the traditional route. It’s nice to see that you’re earning a much bigger ROI on the e-books. So quick question. why are you changing from typepad to wordpress? I’ve been on it since February 2006 and am curious as to whether I should look into changing as well. But $6K is a serious amount of money. Is that mostly for the rebranding and website design and not just the changeover? I hope you’re right, Shannon! I’m excited to see what’s down the road. Oh, I’m sorry that happened Sharon! Thank you for purchasing my ebook today and I think you might really enjoy teaching people to use their sewing machines. It’s actually one of my favorite things to do! Their eyes light up with the creative possibilities and it’s just wonderful. Good luck with it! I love your $ew Worth It mission, Sam! You’re totally right, Stacey. I have been working toward where I am now for nine years. It didn’t officially become a business until last year, but that doesn’t mean it wasn’t building toward this point. 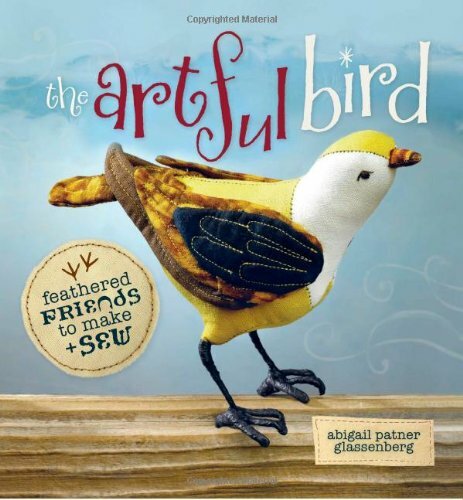 I will say that my first book, The Artful Bird, did really well from a financial standpoint. I’ve earned over $24K from that book thus far and it is still paying royalties. I’m not sure what the differences are in the crochet vs. the sewing markets for books, but from what I can see the marketing efforts that Interweave did really paid off. I will stay on Etsy because I love Etsy. I opened my shop in July of 2005 and I remain devoted to their efforts and their successes. The Big Cartel shop and Pulley will go away and I will either use the woo commerce plugin for WordPress or I will use Shopify (it has yet to be decided). When it’s all installed and I’ve been using it for a while you can be sure I’ll write about my experience! I’m interested in your Etsy experience since I have yet to sell one of my watercolor tutorials on Etsy. I have not done much marketing yet, some on my Facebook page, and perhaps I need to make a dedicated Facebook page just for the tutorials. All my marketing is done by social media since I do not have a budget or the money for paid marketing. I already have 3 Facebook pages (and I help to manage another for a women’s organization – donation of my time). I intend to comb through your posts to find out what avenue you believe is the best time investment for marketing – I just wanted to post here (this is my first blog participation except for a couple of times on a Linked In group). I seem to spend about an hour a day on internet marketing. Each day I post a piece from Fine Art America on Facebook (both my personal and my art page) and I have seen some sales from there. Again, Abby, I appreciate your expertise, your candor, and the specific information you post. I will keep reading! Thank you so much for your comment. I’m so flattered to know that my blog was one of the first you’ve commented on. I honestly not a big fan of Facebook for marketing. I find that very few of my followers actually see my posts there due to Facebook’s algorithm (which is also always changing). I wonder if Instagram might be a good venue for your marketing efforts? It sounds like you enjoy creating watercolor tutorials. If you showed a few second video on Instagram that might be really enticing to your followers and you can post a direct link to the tutorial shown in your profile. Thank you for the personal reply. I have not tried Instagram yet, and I should get onboard that venue for marketing. My tutorials are not little movies but PDF files that can be downloaded – containing a line drawing, finished artwork, art supplies and step by step instructions with photos. Perhaps I am behind the times with that type of tutorial. However I believe they are priced to meet that type of market. Of course, the proof is in the pudding and I must decide to do some other marketing from Facebook since that seems not to be working for me. Again, I thank you for your reply and look forward to more of your most valuable posts! I don’t think you’re behind the times with that sort of tutorial at all, Teresa. I think there are many clever ways to market it, though. If you showed a short video demonstration (15 seconds or so) on Instagram, for example, that’s really enticing! Thanks Abby, I really appreciate the encouragement! I will try the Instagram! Thanks, Tracy. I really appreciate that. They sure can! I’m happy to share. The only way I figured out how to run a business was talking with other creative business people who were nice enough to share real numbers and best practices with me, and I still have so much to learn! I’m always grateful when people are willing to explain how it really works. I’m sure you did, Jodie! When I turned down each of these offers I didn’t just say, “No thank you.” I wrote a brief and professional explanation of why this offer doesn’t make sense with my business model. I feel like just saying no doesn’t really make a change, but a real explanation might begin to. And thanks for the kind recommendations of my book! I’m changing to WordPress because I feel that Typepad is very limiting. There are no plugins so I can’t add ecommerce for digital products to my site like I can on WordPress. It’s less flexible, more clunky, less customizable. In the long run I don’t believe they’ll survive and that scares me. I like that WordPress is open source. It’s a living, breathing thing that millions of people are deeply invested in improving every day. That’s attractive to me. You are so awesome, Abby! Thank you for these financial summaries and your down-to-earth business sense. I am curious to see how you consolidate your blog and your shops and your branding. I have a blog and an Etsy shop with two completely different names, and I’m beginning to wonder if I should reconcile that sooner rather than later. Thank you for openly sharing this sort of information. I find it rather fascinating. I also understand the feeling when someone asks for a quote and then decides it is too much money. I never feel bad about being turned down , maybe I just value my time to highly to be willing to sell it for cheap. Anyway, in your post you comment that you could make more money if you “expanded my pattern line to include things that are more mainstream in the sewing world”. I confess to not being very knowledgeable about the pattern business. Can you give some examples of what are more mainstream pattern ideas? Also, I think you’ll love WordPress. I’ve been using it for years and it’s fantastic. It’s amazing what you can do with it. As always, I love your income reports. Thanks for putting it out there. So much to chew on! I’m so excited for the new site and frankly, I’m so happy to see your income for Q1. I know it doesn’t come easily but once the website expense is done and gone…you are set for more growth and something that looks like a steady-eddy income! Hurrah to that!! This is so helpful Abby! For those of us who are wondering where to put our energies and glamorizing being an author or toy maker, its so useful to see your reality. You clearly work hard and intelligently towards growing your business. Congratulations on your 1st quarter results and thank you for sharing them. Its so helpful for me as I contemplate where I want to go with my craft making. Ah, that’s one of my issues as well. So I have While She Naps (which is the name of my blog, podcast, and Etsy shop) and I have Abby Glassenberg Design (which is the name I use on all my patterns, as the header in my Etsy shop, and as the header in my Big Cartel shop). It’s a bit confusing! I think once I move to my new site I will keep the media arm of my business as While She Naps and change everything sewing pattern-related to Abby Glassenberg Design (including the official name of my Etsy shop). Whew! I think that while dolls and toys have always been a part of the sewing industry, they are a small part. Most people who learn to sew do so because they want to sew either home dec. (pillows, curtains), little girl’s dresses, or clothes for themselves. Then there are quilters which is a whole division of the industry in and of itself. Softies and dolls are a very tiny slice of the pie, but it’s the slice I love! Thanks, Melissa. I remember the first time I went to your site. I was so envious of how pretty and well-designed it was! I’ve wanted a great website for so long and I finally have enough to reinvest. Once it’s built I know I will be motivated to create excellent content and let it shine there where it can be seen and shared so much better! I LOVE your blog, Sharon! I found it recently and it is AMAZING. We should be in touch. Yes, I know. But I find that other things get mixed in there and that makes it confusing for me. If I buy something for myself using my personal credit card, for example, it gets listed in my PayPal log although it doesn’t belong on my business ledger. I have fees for pattern sales and ebook sales alongside fees for eJunkie hosting and for Pulley and Big Cartel hosting all mixed together in the PayPal download. I need to go through each item one at a time to be sure it gets entered into the right category. It doesn’t take too long and gives me the peace of mind to know that I am getting a full and accurate picture each week. I’ve been debating switching from my free wordpress blog to something that I host. It’s not a business for me, but I feel like my site might be somewhere I visit more often if I can make the design choices I want to make. I’m hitting the limits of what the free themes can do for me. A few things. First, I do thing Stuffed Animals will earn royalties eventually. It’s difficult to be patient because I began writing it in the spring of 2011 so it’s a very long wait before any money beyond the advance comes in. Second, marketing plays a huge role in the financial success of a book. To date The Artful Bird has earned me more than $24K. 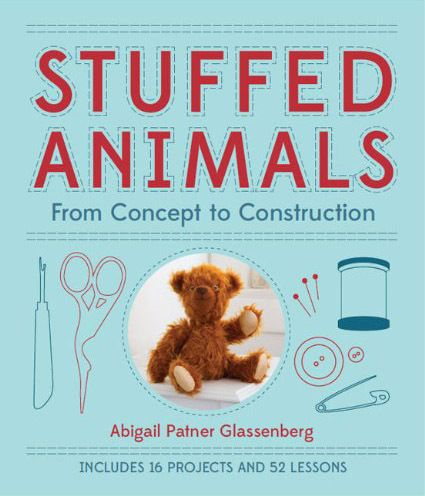 It’s a fun book, don’t get me wrong, but Stuffed Animals is a bigger idea and because it’s a reference book it has really lasting value beyond a project book. But the publisher doesn’t invest in marketing at all, whereas The Artful Bird has been consistently advertised an all of Interweave’s magazines, on their blog, on the back covers of their other books, etc. from the beginning. And Kim, you make an excellent point about ebooks. The Artful Bird was an ebook upon publication. Stuffed Animals will never be an ebook because Lark DOES NOT MAKE ebooks. I found this out very late in the process, long after the contract was signed. Once you sign a contract with a publishing house you no longer own the intellectual property to the contents of the book. It belongs to the publishing house. I learned a lot from working with editors, art directors, and photographers at both publishing houses when writing my books and it was a terrific experience that was worth it for the training I received. But it doesn’t make you rich, that’s for sure! Abby,I Am always so thankful for your openness. I so appreciate everything you share here and everything you offer to the sewing world. I have recently moved to a small town where traditional jobs are scarce. You are giving me hope that I can use what I love to do and actually make an income doing it! Thanks again! Hey, I noticed in one of your replies to a comment that you were deciding between Shopify and the Woocommerce…I am currently with Shopify and will be moving over to Woocommerce when my new site goes live next week. It is a big savings for me over all the fees I was paying before ($50-$60 per month for Shopify, $10 per month for Fetch which automatically delivers the pdfs to the customer, and $10 per month for an app that automatically inputs all my sales into Quickbooks). For the Woocommerce I’m paying one-time fees for the Quickbooks and Shopping cart, and the yearly fees are much less expensive (I forgot the breakdown, but I think it was $150 per year to run the cart). I still pay the fees for Stripe and Paypal, but I would be paying those for either commerce option. I’m curious, have you ever gotten any negative feedback for posting your figures, that you know of? People upset or jealous? Or are the majority of responses positive? Thank you so much for this. My designer recommends Woocommerce, but once started talking to people and looking into it, I got several strong recommendations for Shopify. I wasn’t sure what to think, but I really trust your opinion and experience and now feel much better sticking to my designer’s initial recommendation. I post these financial reports because I feel stronglyt that there is so much to be learned when we talk openly about money, and yet it is information that is rarely shared. I know there is always so much room for improvement in what I’m doing, and there are always lessons learned that I can share. It’s impossible to please everyone, that’s for sure, but that’s okay with me as long as my income reports are helfpul to some, I feel good. Thank you for sharing this informative and thought provoking post, Abby. I just recently started following your blog. And am excited to welcome you into your new ‘home’ when the time comes! This post could not have come at a more appropriate time. I sure admire your talent and drive! Welcome, Lorna! I’m so glad this post was helpful to you. I second the recommendation for Woocommerce. I pay only for an extension that allows me to offer name-your-price items; if it weren’t for that it would be free (outside transaction fees, of course). I only accept payment through Paypal or Amazon, not directly, but that is okay by me. As someone essentially just starting out, your income reports inspire me rather than making me envious. It *is* possible to draw a living wage from creative work! Congratulations on your new website, Abby! I moved to WordPress in December and though I wasn’t primarily a blogger before that point, I’m so glad I made the move. Once you get to know your “theme” it’s very easy to work with. Can’t wait to see the new design! My book comes out in August…and I hear you already about publishing. I think in the end books are more of a really cool “calling card” for a business and not something that will make a craft business successful. This particular post was very encouraging for me. I’ve been doodling around with ideas to make my sewing business work more for me so I can stop doing two of the extra jobs I do for regular income. I will just have to buckle down and get to it. Do you have a post about how to create .pdf patterns? I would like to read that. Abby, I am so impressed with how you share your knowledge with others…and your journey. You keep your books with an Excel spreadsheet? I’m soooo out of touch, I was thinking I would need to get a professional program. Years ago I used Quicken and I’m not sure I can figure out Excel, but I might give it a look. Thanks for all your help. I’m excited about moving to WordPress. My designer just showed me some banner designs tonight and they look awesome. I loved writing my two books and I learned a tremendous amount in the process. I’m really proud of them! It doesn’t earn all that much, but the experience is totally worth it. 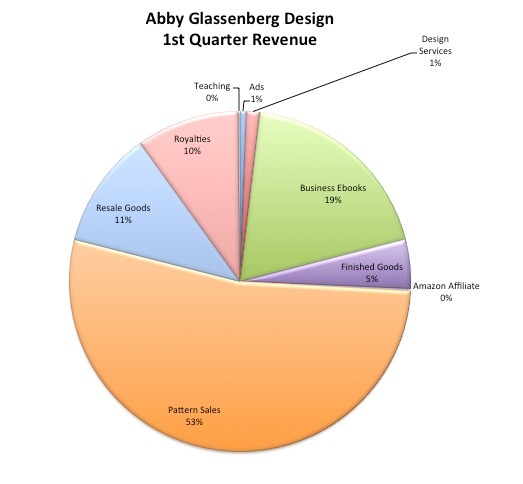 You might like my ebook, The Insider’s Guide to Starting an Online Sewing Pattern Business: http://abbyglassenber.wpengine.com/ebooks.html I talk quie a bit about how to create PDF patterns there. I’m a fan of keeping it simple so that you can just get started without having to spend a lot of money or learn something new. Those are big barriers that can keep you from ever beginning. My husband uses Excel for work so he was able to set up a very basic spreadsheet that I used for a year. Then I got a more sophisticated spreadsheet made by someone I hired for $30 on elance. This one auto calculates my revenue and expenses which is very nice. I think there are many ways to do accounting and it probably doesn’t really matter which way you choose, but don’t let it become a stumbling block to getting started! Abby, you do wonderful work, and I too really appreciate your being so candid regarding the financial and working side of your business. Your post, and following all the comments, is very helpful. I originally started with a self-hosted WordPress site, but rather than delve into WooCommerce, I used Paypal directly. There are lots of features within Paypal that let you sell online, which works great if that’s all you want to use, and they are totally free! I am currently working on switching over to Shopify; just need to add some products and get my domains transferred, and I am ready to go. I went with them because they seem to better showcase individual products and they are (to me at least) much easier to use than WordPress. My cost with them will be $29.00 per month, and I am limited to 100 products at that rate. That is more than yearly cost of self-hosting my WordPress site with my SSL certificate, so we will see how that goes. There is a learning curve with all of them. I will say that WordPress definitely has a better system for blogging; Shopify a better system for ecommerce. Trying to do all myself, but that is a big time investment. Looking forward to seeing how your new site turns out and see which e-commerce you go with. Okay Abby, I’m going with the K.I.S.S. method. I have been pretty happy with Open Source programs so I downloaded their Money Manager EX. as a starter…it looks pretty user friendly. One of the other things I really like about you is that you make me feel like I can get back in the game…with $225 a month Social Security I “really” need to get back in the game! Many many blessings to you. I decided not to use Outright. They were purchased by GoDaddy after I wrote a post about them. When I looked into it more recently it just didn’t meet my needs. I’m hearing good things about Wave accounting, though, so that’s a future possibility. My spreadsheet has several columns and drop down menus that allow me input the date, item, description, revenue/expense, source, shipping, etc. I have a pivot table and it’s nice, but nothing imports automatically so it’s all manual. Thank you so much for being so candid about this. It’s very eye opening! I first heard about you on the Modern Sewciety podcast by the way. and then someone else just linked to this post. Best of luck with everything! Thank you so much, Christa! I really enjoyed being on the Modern Sewciety podcast. I’m getting my 2nd quarter income report ready for the end of June! You’re welcome, Ruth! I’m so glad you found it to be helpful. Thanks so much for sharing this. And I appreciate everyone’s comments. The insight is really helpful in deciding where to focus energy. 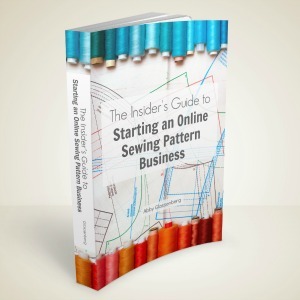 I’ve also just purchased your Insider’s Guide to Starting an Online Sewing Pattern Business, and I’m looking forward to reading your insights there. My two cents on website/blog hosts: I will say that I’m a WordPress person having used it to build two blogs and an e-commerce site. I like having the flexibility to just get in there and make changes and additions without any fuss, although it’s worth it to pay someone to design the logo and maybe the header to personalize the look. For payments, we’ve been using Paypal and the Shopify platform, and now we’re experimenting with Square — and writing that sentence I realize it’s time to make some decisions and streamline. One benefit with Square: the processing fees are lower than Paypal’s. We’re finding that Square isn’t the best option for invoicing clients, since it doesn’t collect a lot of contact information, but it does seem to be a great option for point of purchase sales at events, like craft fairs or speaking events. It was recommended to me by my brother, who does a lot of business at craft fairs and also the woman who does my hair. For point of purchase sales, Square enables you to turn your mobile phone into a credit card processor. They send you a free credit card reader — surprisingly small — that attaches to your mobile phone. Really looking forward to learning more about your experiences, Abby. Thanks again. Thank you for sharing your experience, Maria. I think Square is brilliant for selling at craft fairs and shows. I’ve heard great things about Shopify as well and considered it for shop on my WordPress site, but decided to go with WooCommerce instead (I think it was the cheapest option?). But it’s great to hear how other small businesses think. I’ve only read this one post but can tell it’s now at the top of my list of daily reads. I sew and have sold some of my linens. I’m getting more requests all the time so am considering jumping in. I’m considering hiring a part time seamstress and wondering if you or any of your readers have any advice. I used to use Quickbooks but when I switched to Mac I created basic spreadsheets with ‘Numbers’. I liked the overall function of Quiockbooks but I like having control of my books far more. My income currently comes from different sources so this method has worked well. I appreciate your and your readers feedback about Square. I’ve been encouraging my husband in that direction as his jobs are typically in the thousands of dollars. Having the ability to use credit may have clients say “yes” to having all the work done at once as opposed to spreading it out over time. I’ll check into it a bit more before I give him a full presentation. You contribute so much to your community here Abby, thank you! And thank you to Tara Swiger for sending me your way! Yay! Welcome. I have definitely found that many customers like to use their credit cards directly to pay for goods and services. More than half of my customers in any given week pay that way (as opposed to using PayPal). Hiring a seamstress is a great question and I haven’t addressed it directly yet. Thank you for the idea and I hope it’s something I’ll have a chance to research and write about soon.